PROVE Standards & Engineering Pty Ltd provides both WELS testing and WaterMark testing to Australian Standards and Technical Specifications. PROVE have 10 years’ experience in WaterMark testing and WELS testing. Since its inception in 2005, WELS testing has revolutionised the water industry. The amount of water saved in Australia due to WELS (Water Efficiency Labelling Scheme) has well exceeded all expectations and as a result from July 1st 2006 the WELS Scheme became mandatory. WELS testing has opened the door for consumers to be able to compare various plumbing products by having their efficiency labelling in plain sight. The WELS effect has and will continue to lead to greater water savings, due to the educational presence through schools and ongoing government initiatives. Plumbing products such as showers, tap equipment and flow controllers as well as lavatory products like toilets urinal equipment. For example for a WELS test on a flow controller, first is determined by finding its nominal flow rate. The WELS testing is completed by connecting it to a laboratory controlled water supply and testing the flow rate at various pressures of 150, 250 and 350 kilopascals (kPa). 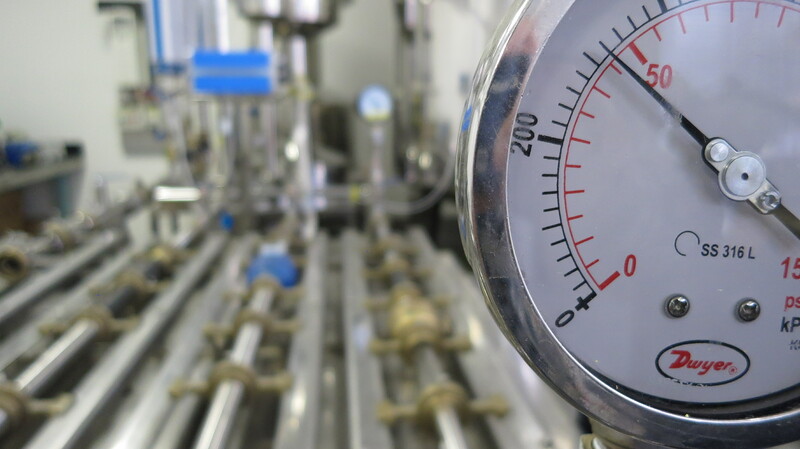 The average of the flow rate passing through the flow controller is the nominal flow rate, and the value of the nominal flow rate will determine how efficient and how many stars the flow controller can have. PROVE are also a recognised WaterMark testing laboratory. The WaterMark Certification Scheme provides a nationally consistent program that ensures the quality of products used in plumbing and drainage installations are upheld and fit for purpose. All plumbing and drainage licensed materials and products that are certified by WaterMark, are identifiable by the WaterMark trademark, which must be marked on the product upon issue of the WaterMark Certificate of Conformity. Products can also be checked on the WaterMark database on the Australian Building Codes Board website. PROVE have some of the most sophisticated WaterMark and WELS testing equipment and processes in Australia, which lead to greater confidence and quicker turnaround times. PROVE is NATA accredited for a very large scope of WaterMark testing and WELS testing. The full scope of accreditation can found on the NATA website by searching for PROVE under the facility name options or alternatively please follow the link: http://www.nata.com.au/nata/scopeinfo/?key=20633.